Very rare....Edwardian c1900 - 1910 Butchers Advertising Pig "THE BEST PORK IN BOLTON". 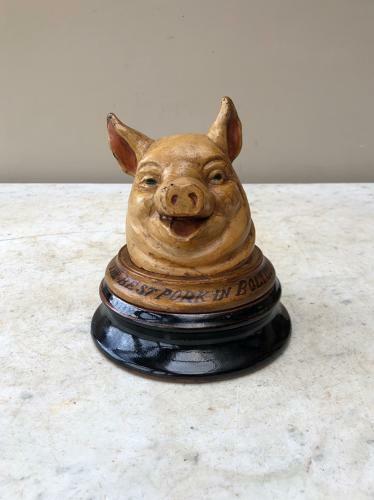 Wonderful Hand Painted Cast Composite Pigs Head on a Black Pottery Base. Exceptional condition it has been VERY well looked after...The only one like this I have ever seen. Post is Special Delivery Next Day Tracked and Signed for, for £15.